My mom loves anything red and white. So for Mother’s Day, I thought I’d make her a red and white table topper. I’d love to have you join me as I walk you through the process of cutting and piecing these two adorable Wonky Heart table toppers – just in time for Mother’s Day! Have you heard about AccuQuilt and have wanted to try using one? Do you own an AccuQuilt, but would like a little more instruction to feel more confident? 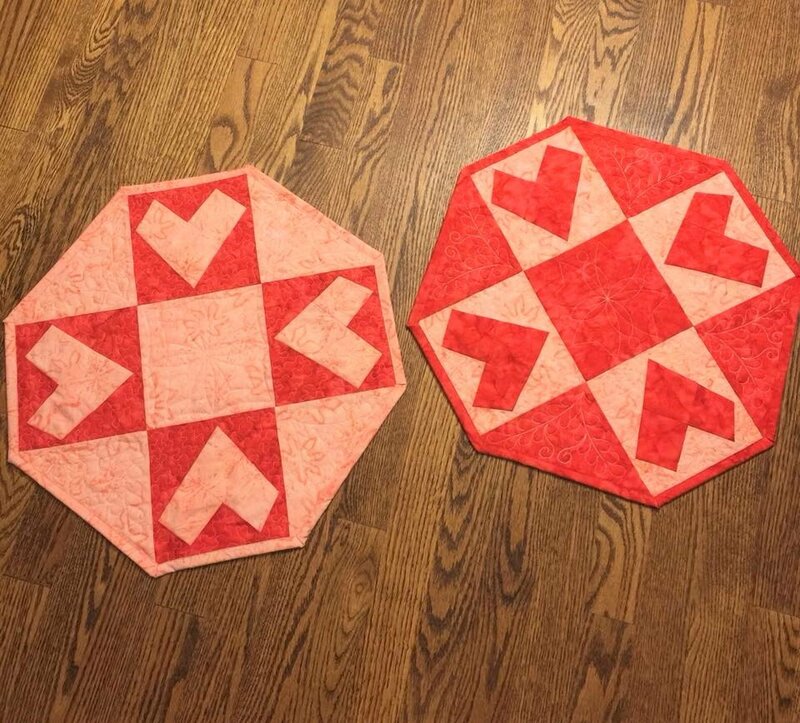 Do you own an AccuQuilt, and use it all of the time, but don’t own the Wonky Heart die? Maybe you just want to make a cute table topper without having to cut out all of those little pieces? If you are any of the above, then this class is for you! We will cut our Wonky Heart blocks in class —accurately, in a matter of minutes, on the AccuQuilt— so you can start sewing almost immediately. *We have a class rotary cutter, ruler, and cutting mat to share if you do not wish to bring your own.